A western Maine school district has voted to move on without their embattled superintendent. A western Maine school district has voted to move on without its embattled superintendent. At a packed meeting, the school board in Regional School Unit 73 voted unanimously to accept the resignation of superintendent Todd Leroy. It was the first thing addressed after several staffers and parents expressed how Leroy has created an atmosphere of distrust and anxiety for the entire community. Thursday night, dozens spoke up about Leroy’s actions, which most of the community and the school board say they learned through the media. 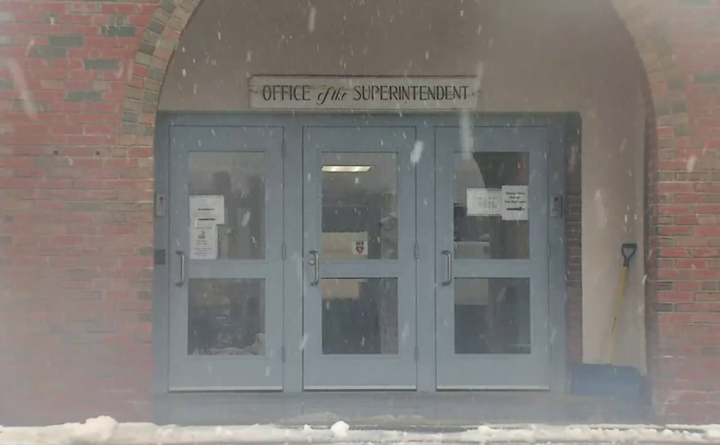 The RSU 73 School Board confirms that staff members were told via email, just days before Christmas, that the high school principal would no longer be employed in the district, and later that the middle and high schools would become one school. That prompted a signature-gathering petition in the community calling for Leroy’s removal. Attempts to contact for comment the former superintendent have not been successful. The school board chair said she is glad that the community wants to be involved and hopes they continue that involvement. Leroy will be paid his regular salary until January 2020, and the school board will begin the process to search for an interim superintendent, according to the board.